Have you ever thought you will be excited to see a towing truck stop next to you, like in the moment you get stranded on the side of the road because of a flat tire, an engine malfunction or an accident? Yes. It happens all the time. Of course, nobody plans or wish for this to happen, but it does. Drivers get stranded every day waiting for hours for their insurance company to find a towing company for them. These towing companies the insurance works with, are not chosen based on the quality of their work but mostly on the price they get from them. 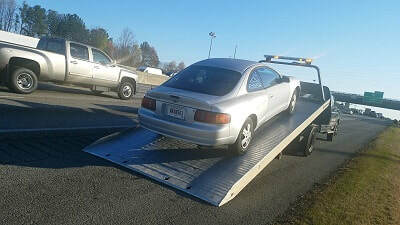 Some people will wait for hours in the Georgia heat before starting to search themselves for a car towing service, when, a local towing provider can be there in less than 30 minutes and get you back on the road. Some tow truck companies will promise you they will be there in x time, you wait and then x time passes and no tow truck on the horizon, you call again, and they don’t answer…. It stats to become​ a frustrating situation. Now you have to start your search all over again. How would you search for a towing company? The towing in the zip code you are? (that if you are not in the middle of nowhere and don’t know your zip code) cheap towing service? Rapid response towing? 24/7 recovery? Flat rate towing? Towing and roadside assistance? This might all work good but if you want to get more useful results you should search by location. What does this mean? If you have your location option on your phone activated you can start searching right away for almost the same terms just add the city you are in, to the end of the search term or the words “near me”. This will show you only companies in your close proximity and will exclude tow truck companies from other cities that will probably charge you extra for the extra mileage. Example of search terms could be: "towing service close to me", "towing service near my location", "towing nearby", "flat bed tow truck company near me". So now that you know the best way to search for a vehicle towing near you, let’s see how you choose the best tow truck company to call. 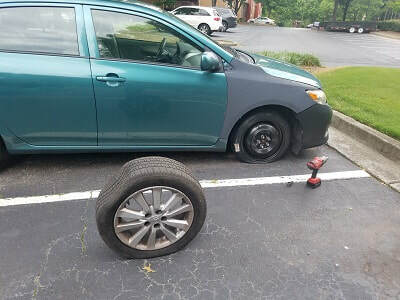 Are you having a flat tire? Do you have a spare tire? Is your spare tire good to use or is it also flat? Does your car won’t start? Do you think is just your battery making your day difficult or you think it might be something else? Do you need anything else besides the car to be transported like a motorcycle or a boat? Is your car stuck in the mud? Is your car in the ditch? , how far from the pavement is the car? Can the car be put in neutral? Is the car front wheel drive? Is your car back wheel drive? There might be a lot of questions but it’s good for the dispatcher to know the exact situation you are in, so they can send out the best towing truck and the right equipment for the job. You don’t want to wait for the truck to show up just to realize that your spare tire is not usable and the truck is not able to help you because it is not a flatbed tow truck. You asked for a roadside service and they sent a service truck equipped with everything you need to replace or fix where it’s possible the tire but, in your case, it can’t be fixed or replaced. Now you have to wait for another “proper “truck to show up. More time, more money. It’s better to answer all the questions the dispatcher might have than waste more time and money because you were in a hurry. What time of the day do you need the service of the towing service company? Where do you want to take your car? To the local repair shop? To another city to the dealership? To your home? How many miles? ​ The time of the day you are in need of the service. It's important. Many tow companies have different rates depending on the time of the day you are calling? Most of the time late night towing service will cost more than if you call at 2 pm. If its 1 am and you have a flat tire, you will need to look for a 24 h roadside assistance and towing. Make sure you do have a good spare tire when you call. Most roadside service companies do not have tires for sale if you tire can’t be repaired or replaced. Where do you want to take your car? Are you moving to another state close by like Alabama or South Carolina and think a 2 hours’ drive is too much or your car is not drivable ant thinking of calling a tow service? Think again. How big is your vehicle? Do you have a small or midsize car or do you drive a dually truck? Do you have a small honda civic or a big F350 dually truck? Some tow truck companies cannot load big trucks on their flatbed trucks because of their size. You will most likely need a heavy duty tow service. Most tow trucks should be able to carry anything under 8000 lbs., so if you need an equipment towing service or a small tractor moved, that won’t be a problem. If you want to tow a boat or a motorcycle this is another story. Not all tow truck services offer this type of service. You will need to call a more specialized tow provider for this type of cargo. Motorcycle towing requires a special attachment to the back of the tow truck and not all trucks have it. How do you know if the company you want to call is offering it? You could check on their websites service page or on the about us page. If they are offering it, it will be listed there. If you prefer to speak with someone you can always call them and speak to the dispatcher about your special request. What is the reason you are calling a towing company? Is it to tow your car or someone else’s car? Did someone parked in front of your driveway and you can’t get out? Did someone parked on your paid parking spot? Did someone leave his car in your restaurant's parking lot? We need to know this detail upfront. For this type of service, you need to call an impound service or look for signs in the parking lot for the authorized towing company to do that. 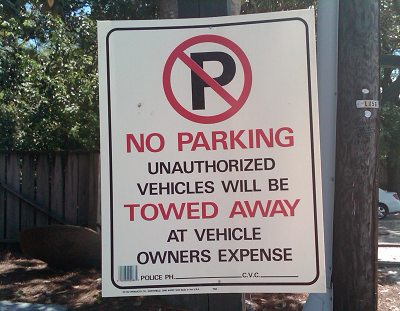 Most parking lots and restaurant have a contract with an impound towing service. Are you stuck in the mud or ditch and you just need a pull? Call a provider that offers a winching service. Some companies have wheel lift trucks that can easily lift and pull out your car from the ditch and they are an even cheaper option than a flatbed tow truck. Did you lock your keys in the car? Are you with the car? Can you prove you are the owner of the vehicle? Do you only need a quick jump start and you don’t have jump cables? No need to call a full service towing company. Any roadside service can help you unlock your car, or change your tire in minutes. You don’t need the tow truck you only need the experienced tow operator. Calling a roadside service is more cost effective most of the times. Most towing companies also offer roadside assistance services at a lower price. Check with the dispatcher when you call in. In every industry, there is a bad guy. The towing industry is no different. So be prepared for it. If you are like me, you like to be prepared. You can’t always be prepared for everything you don’t know about, are you? But why not have a local towing company’s phone number handy, saved in your phone? Ask around your friends, family, neighbors or coworkers they can share their experience with you and recommend you a professional company. If it happens to be out of town when the unwanted happens, the local police might help with a recommendation. 1. Always read reviews when you’re hiring a towing company. 2. Pay attention to the towing service price! 3. Watch for warning signs when you call a towing company. If the dispatcher is rude you most likely want to stay away from that company and look for another one. We know you can’t plan for the problems but selecting a good towing company when you are under duress is not easy. The most important things to look for are a quick response time, experienced towing operator, clean and maintained equipment and professionalism of the dispatcher and driver.